I'd been to Jordan twice previously. I stayed with my friend's family and experienced Middle Eastern hospitality. I fell in love with the people and culture, and decided to return alone to volunteer and see what opportunities would arise. I arrived in August 2011 for what was to be a six month stay. 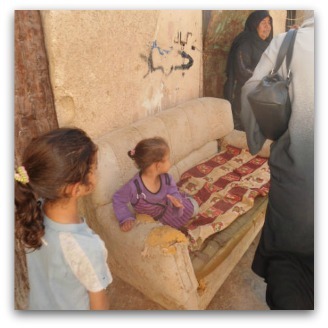 Within the first month I was invited to visit a refugee camp 40 minutes away from Amman. I accepted the invitation, but did not know what to expect. I was met with harsh realities and deep sadness — a far cry from the life I had grown accustomed to in the capital. 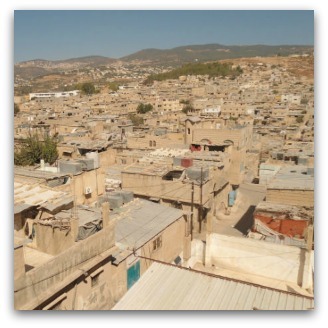 The Gaza refugee camp in Jerash contains many thousands of Palestinians who cannot return home. Each family of up to eight or nine people is given approximately 90 square meters to live in, in buildings said to house asbestos. There is little means of entertainment and children pass their time on the streets. Depression hangs in the air, mingling with the overwhelming odour from the inadequate sewage system. I met one family in their home, and asked if they would mind me taking pictures. 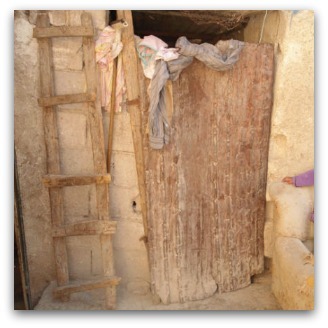 I was shown a small bedroom shared by all members of the family, and a makeshift bathroom. Tyres as well as bricks lined the roof to protect against wind and rain, and a swing hung precariously in a tiny room for the children. Despite the standards of living, the family unity was strong, and the seed of hope evident among the young people. I visited Qaran House, an organisation that offers preschool to four and five-year-old children. It is the only establishment of its kind in the camp, and it struggles for resources. Children sit on the floor or cramped around tables and unsafe wooden desks. But they are happy to be there. I thought back to my own experiences as a teacher in Sydney; of how I complained about a lack of resources in my classroom. What I saw at Qaran House made my complaints seem insignificant. I remembered my five and six-year-old students writing their weekend recounts, describing how they would spend time playing video games, going to the movies and playing with their friends. How different the children at this camp were. There were only five small rooms at Qaran House for a camp with many children. Clearly children within the camp have very limited education possibilities. I came back to Australia with a desire to advocate for the rights of these refugees. Seeing their poverty has given me a responsibility to share my experiences in the hope of promoting awareness. Talking about these issues might also allow other Australians to realise the fortunate position we sometimes take for granted. I did not realise until developing the photos later that there was a painting outside the door of the refugee family I visited. A large, harrowing eye is marked on the clay, tears splashing down. To me, this image encapsulates the suffocating sadness that is palpable throughout the camp. Generations of people are being born in these camps, while the elders, on occasion, still hold the key to their home in Palestine. We do an injustice to these people if we turn a blind eye. I will never view my circumstances in the same light again and I hope the power of conversation can make a difference. Jessica Brown is a primary school teacher working in the Broken Bay Diocese in NSW. She holds a Bachelor of Education specialising in early childhood education. Last year she returned from living in Amman, Jordan where she was volunteering with various NGOs. Sometimes intolerance is not a bad thing. As you say Jessica, "We do an injustice to these people if we turn a blind eye". To turn a blind eye to Palestinian suffering is to tolerate its existence. And this is exactly what governments of the world have been doing for years. Certainly Australian governments have. Such tolerance can only be the virtue of the evil or of the man without convictions. As the writer Dorothy L Sayers once noted: "In the world it is called Tolerance, but in hell it is called Despair, the sin that believes in nothing, cares for nothing, seeks to know nothing, interferes with nothing, enjoys nothing, hates nothing, finds purpose in nothing, lives for nothing, and remains alive because there is nothing for which it will die." It is time to put an end to the agony of Gaza. So thank you for your words and pictures, Jessica. Thank you Jessica for bringing us the story of life in that camp and for advocating for these refugees whose plight we often file away while we attend to the details of our own lives, that seem so much more important at the time. A poignant and timely contribution, Ms Brown. Thanks for this story Jessica. I'll have the privilege of visiting Jordan in May. I agree that the great majority of Australians enjoy standards of living that we sometimes take for granted and it's easy to forget about the plight of refugees in war-torn areas. I've had a number of conversations with an African refugee who spent some years in a camp and have shed tears with her on occasions. I visited Jordan very briefly as part of a Bible Lands Study Tour, back about 1996. 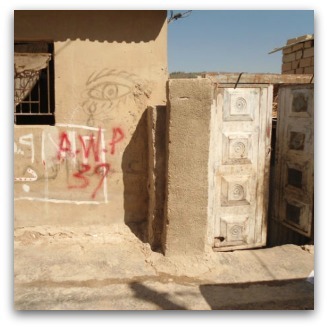 The Jordanian guide pointed at one stage to a wall and said that behind it was a refugee camp of thousands of people. He spoke as if they were vermin, and said that at the end of the year the government would be bulldozing it to get rid of them. Is it possible to send items to the preschool or would it be better to send money for them to buy what they need? Maybe we could start asking people going there for study tours to take a few items in their cases, if you have a contact? I am so touched to read such supportive comments on this forum. Thank you for your feedback. I feel moved that others similarly share my passion for the need to talk openly about these issues. You are right Pam there are so many refugee stories all different but yet bound by the common thread of displacement and adversity. I feel this has been such a long displacement and therefore people have become desensitised to the news. It's therefore even more important to keep these communities in our hearts, to avoid their needs laying forgotten. Many thanks and gratitude again for your words. Hi Pauline, I can imagine that you were shocked to hear the guide describe people in the camps like this. Unfortunately there is stigma towards these people and complex issues surrounding their place in society. Yes, this is a great idea to donate resources, and is definitely something I have looked into doing. I would love to discuss this further with you. If you contact the Editor he will be able to forward on your contact details so I can email you. Thereare lots of considerations to negotiate when trying to help, which can be frustrating at times. Thank you so much for your comment. I appreciate your words of support and ideas to help.